Published by Joshua Clare-Flagg on 17 Oct, 2017. 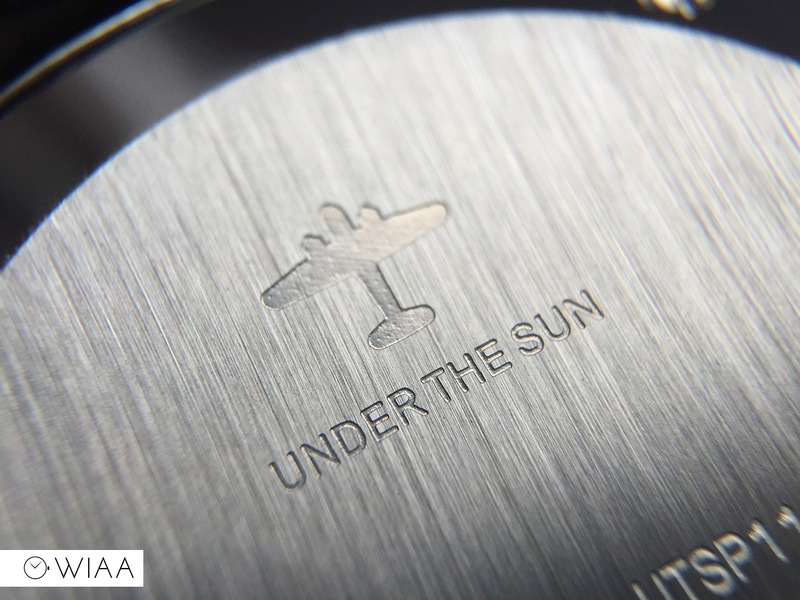 Hailing out of New Zealand, Under The Sun are a watch manufacturer who aim to pay homage to their homeland through their timepieces. 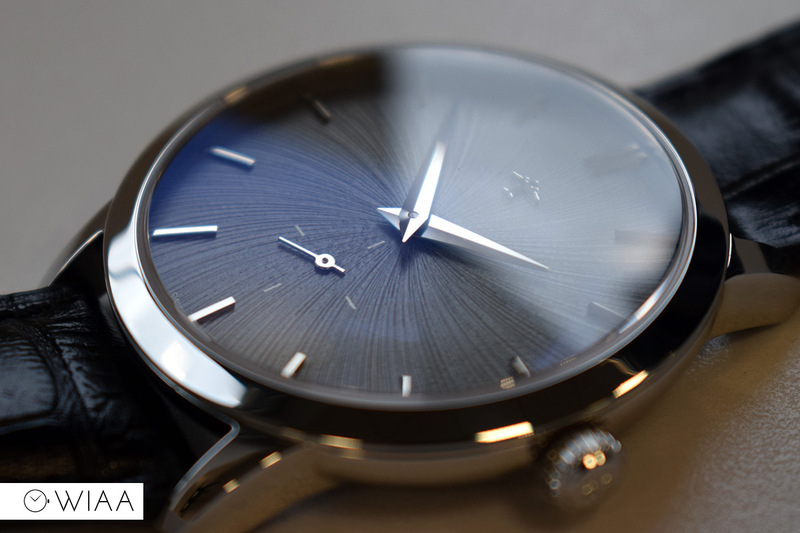 The dial is available in Schist (based on rock) or Névé (based on glaciers) – both are an interesting rough radial pattern that I’ve not seen before. 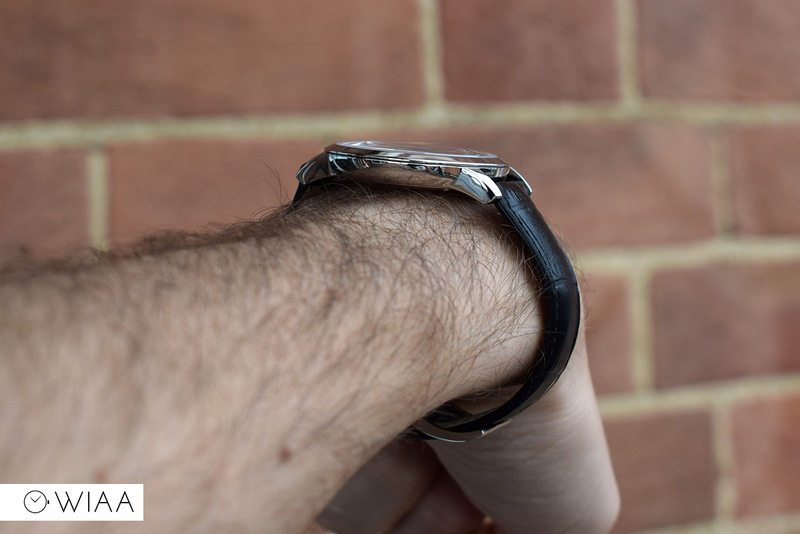 Let’s take a closer look to see if it’s a good buy at £220. 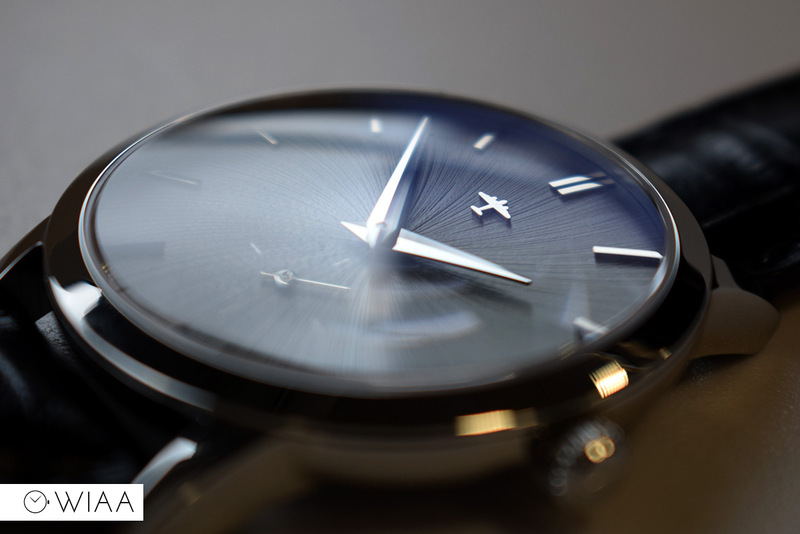 The fully polished stainless steel case comes in at a a splendid size of 39mm – very classy and elegant. 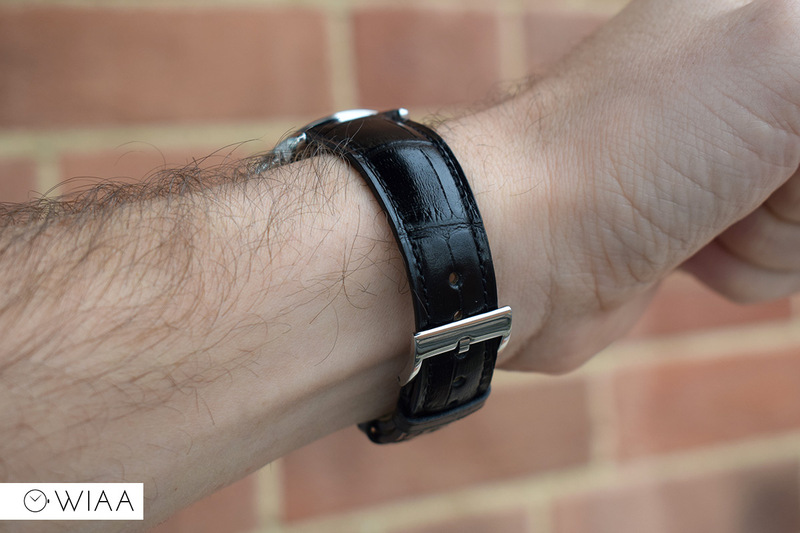 The weight of 52g is very lightweight so it’s easy to wear all day without any issues. 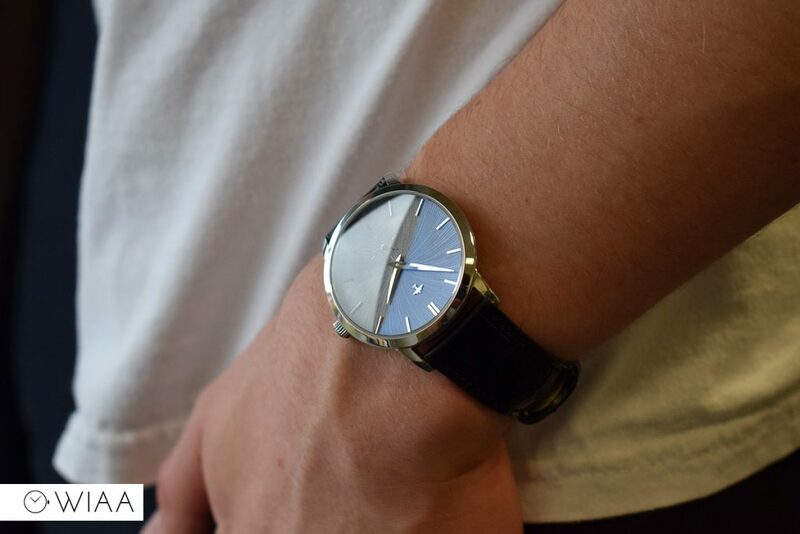 The finishing and manufacturing of the case is all spotless: smooth lines and a mirror-like gloss. 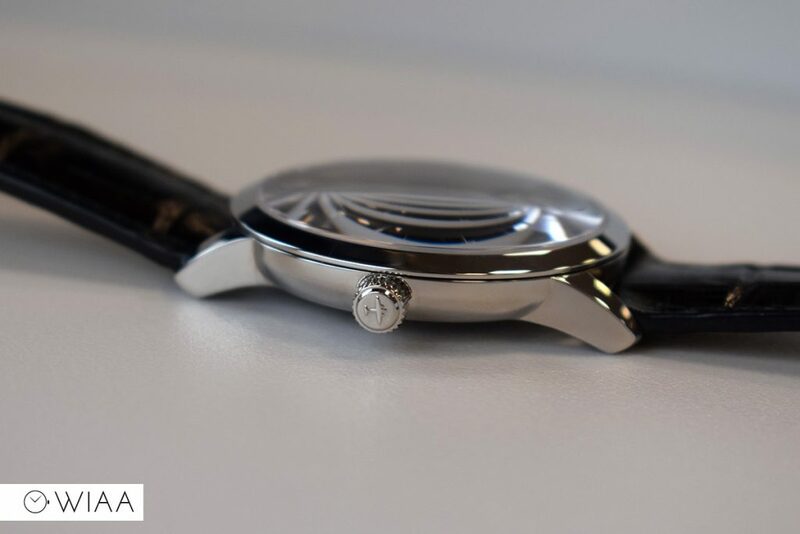 The case is a standard shape, albeit a little bit more shapely than the regular barrel: there is a slight tuck in the underside which provides a little bit of curve to the form. 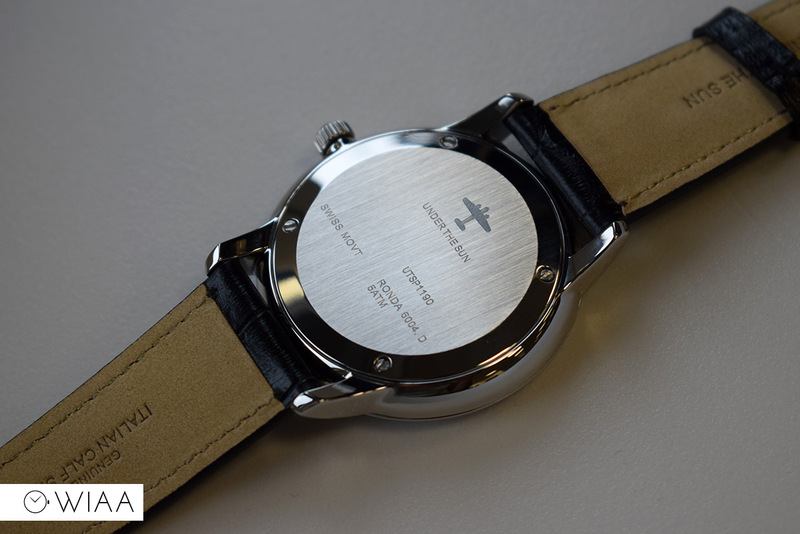 The caseback is secured in place with 4 screws. The linear brushed central area with the logo and details engraved is an simple yet attractive attribute. 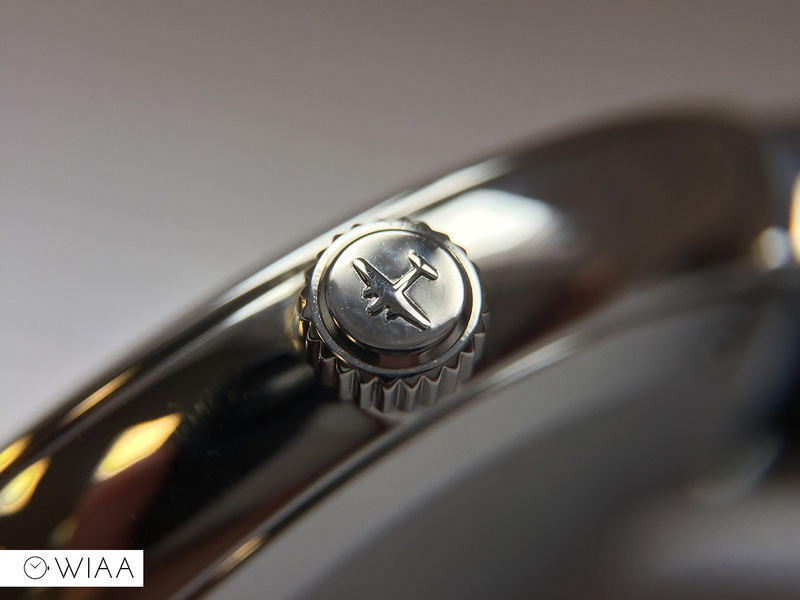 The push / pull crown has the airplane logo embossed on the end to good depth and detail. It has effective grip and is easy to use. 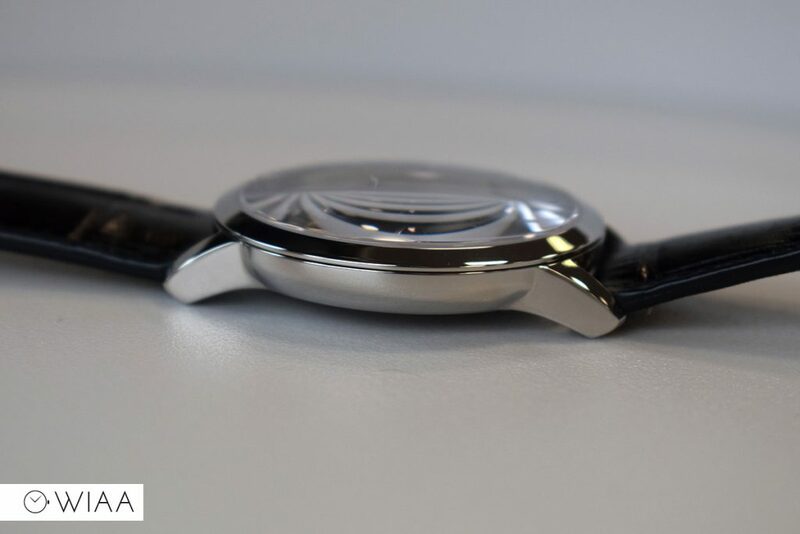 Sitting on top of the case is a single domed sapphire crystal with anti-reflective coating on the underside (it’s only domed on the top, hence why you get distortion at tight angles). 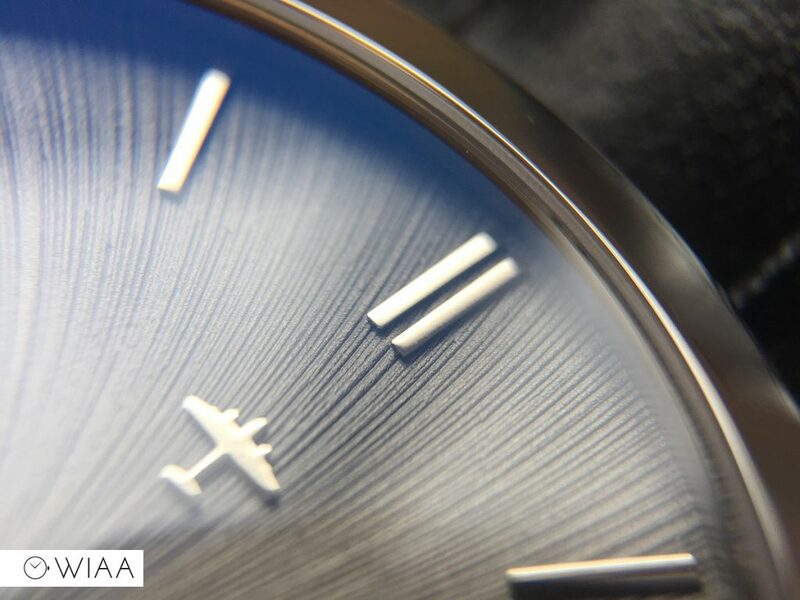 The AR coating doesn’t make a huge difference, but you do get a pleasant blue flash of the coating whilst surveying the watch which does increase viewing pleasure. 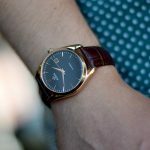 The dial is exquisite and beautifully unique: Schist is a metamorphic rock consisting of mineral grains that are more or less aligned in layers. Under the Sun make a big deal that this is inspired by New Zealand’s landscape, so fair play to them for making something distinctive. 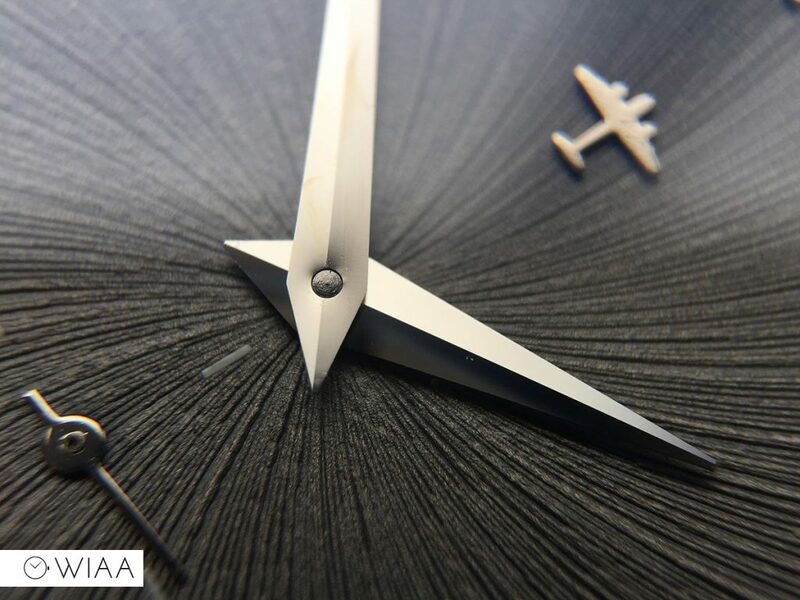 It is characterised by its’ radial pattern, which is stunning and catches the eye. 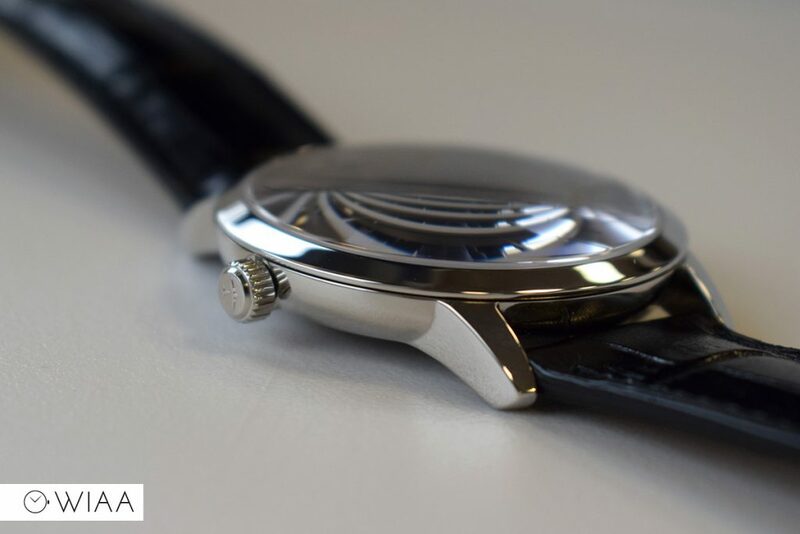 This rough yet captivating dial base is a very effective backdrop to all the highly polished elements set upon it. The hands, hour markers and logo all catch the eye to a superlative degree thanks to the scenario they find themselves in. 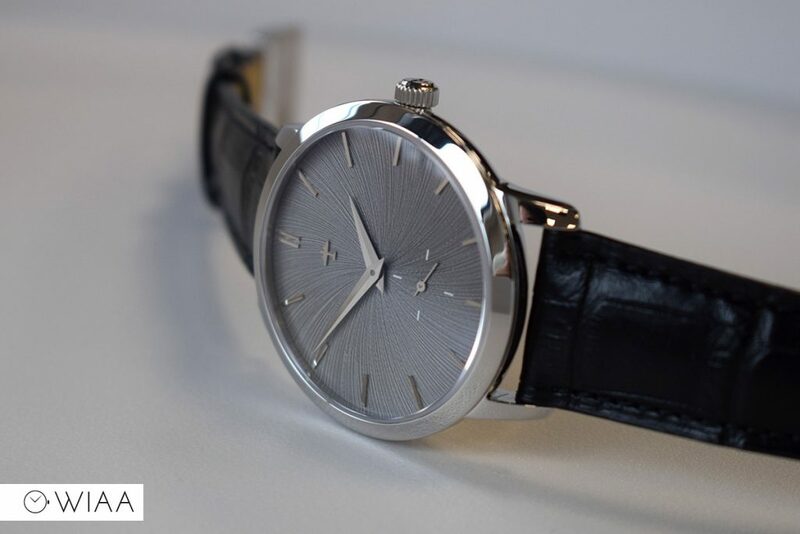 The hour and minute hands are a wide dauphine shape, with a high pitch. 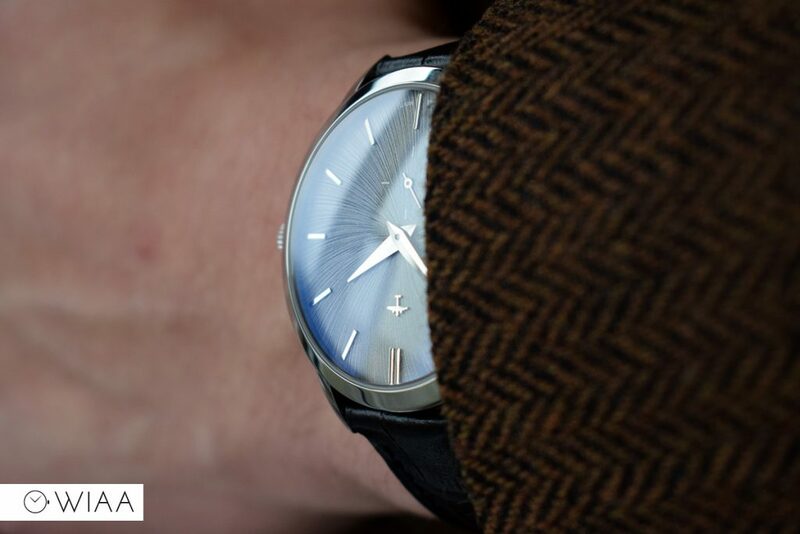 A simple but classy choice, which provides good legibility against the Schist dial. 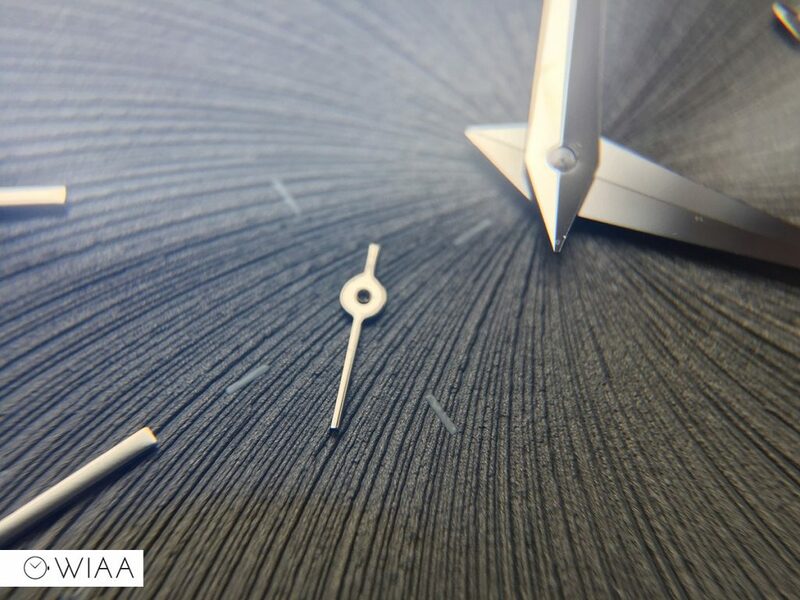 The baton hour markers are also polished, and are pleasantly thick; given you a sense of good manufacture and close attention to detail. Single batons are positioned at every hour apart from 12, which has a double baton marker. 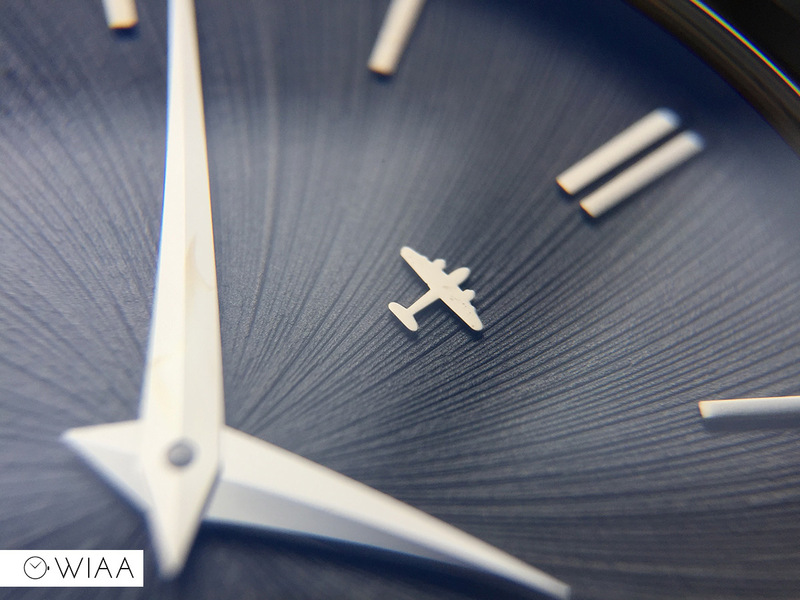 In addition to the hour markers is a lovely applied aeroplane logo. 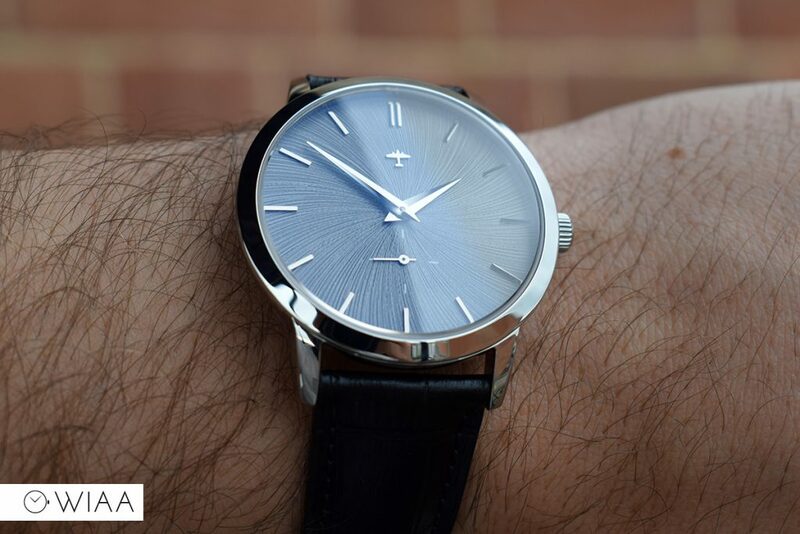 It’s a similar affair – substantial build quality and a highly polished finish. The small seconds hand at 6 is small straight stick with white printed marks at 12, 3, 6 and 9 surrounding it. 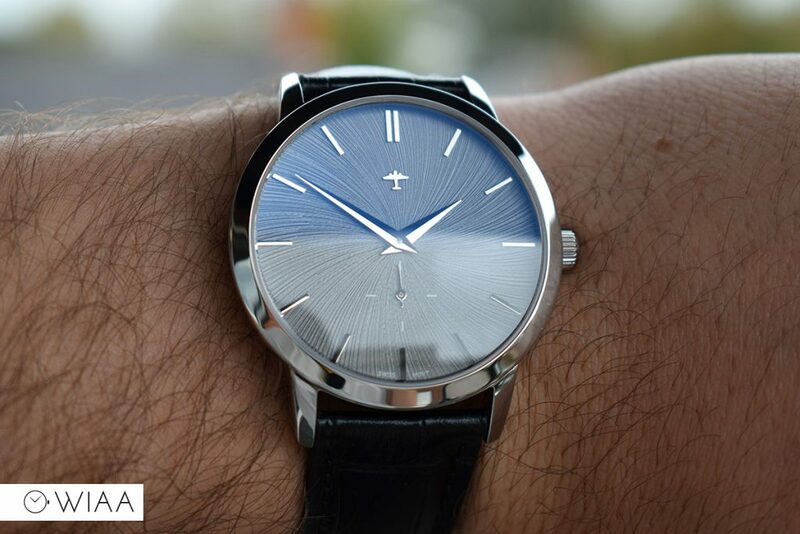 It’s not a focal point of the dial, but is rather a gentle compliment. 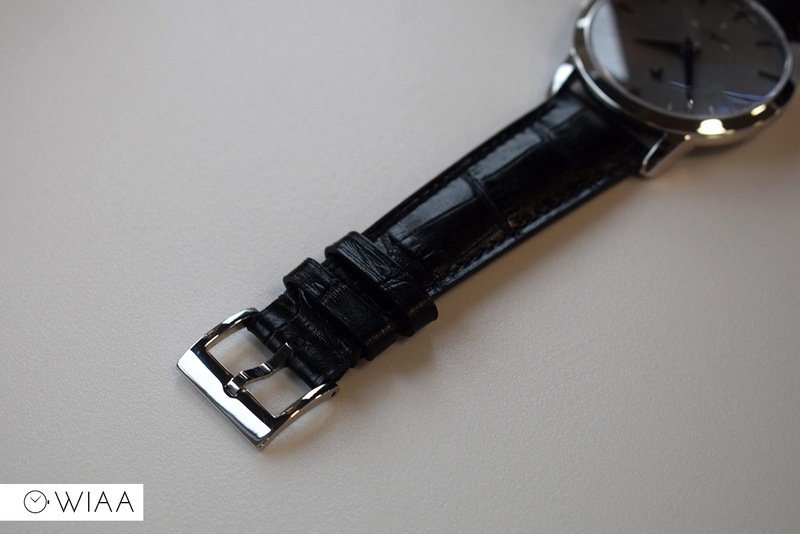 The strap is made of Italian calfskin and has a black patent alligator print top with matching disguised black stitching. 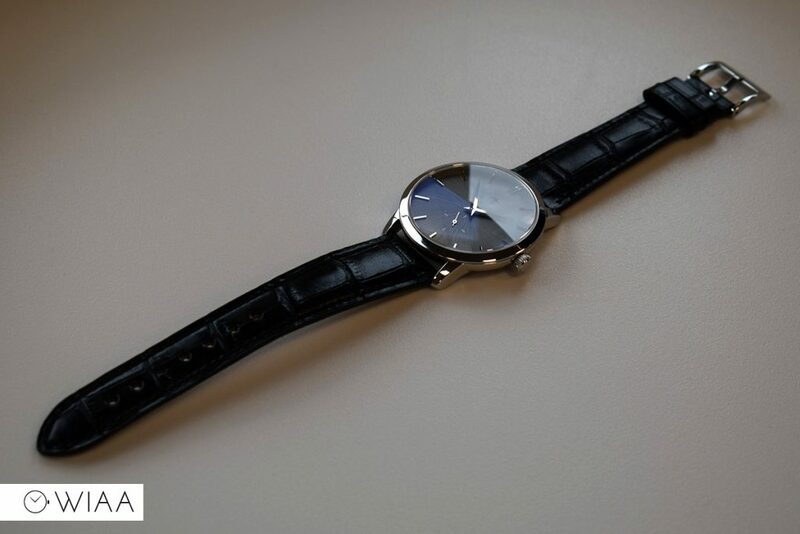 The strap itself is quite thin but is very soft and supple, and the thinness matches the quaint size of the case. 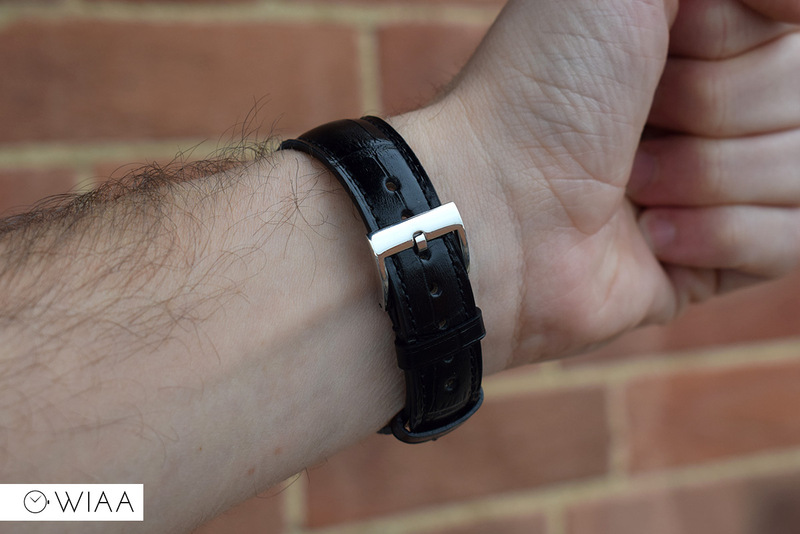 It really is very squeaky to start with – the width of the strap is so tight to the lugs – but this will obviously wear in eventually. 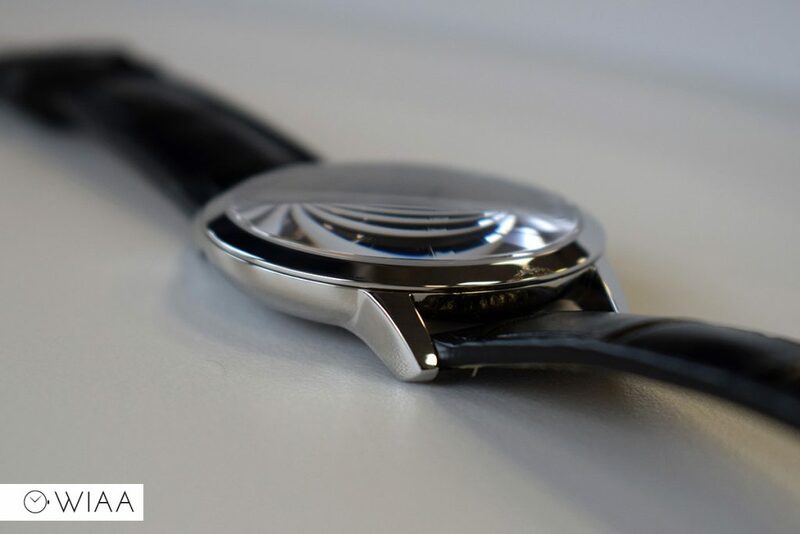 The regular style tang buckle is fully polished to match the case, with no markings or engravings on it at all. Personally I feel that it would have been nice if it had the logo or brand name engraved on it. 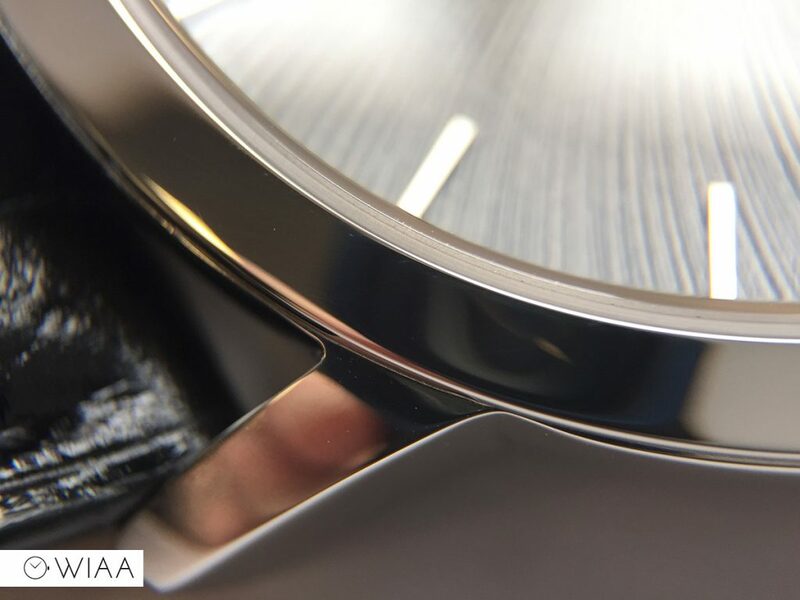 The movement powering the Under The Sun Progeny is the Ronda 6004.D: as it’s Swiss Made and quartz; it should be very reliable (there’s not a lot to go wrong really). It has 5 jewels and a battery life of 40 months. 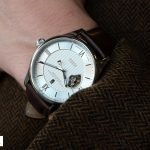 This movement is also specifically used for the small seconds hand at 6. It’s also worth noting the lovely piano black wooden presentation box the Under The Sun Progeny comes packaged in. 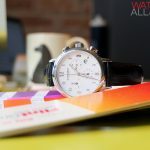 I always like to see a watch manufacturer make an effort with the presentation, even if it does get put away and never really looked at again – it’s that initial unboxing impression that sometimes makes a huge difference. 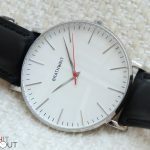 I feel £220 may seem a little bit on the expensive side for a quartz movement watch – but there’s a number of reasons that keep me interested in this timepiece: firstly, the movement is Swiss Made, so that’s always a plus, even if it is quartz. 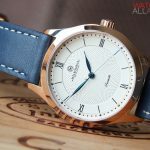 In addition to this, the general fit and finish is splendid – it’s a watch that provides a good impression with the highly polished case and blue tinted AR coating on the domed sapphire crystal. And then there’s the dial. 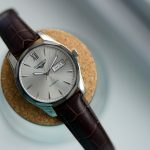 I’m really pleased for Under The Sun for creating something unique and special in the vast ocean of unimpressive entry level “minimalist” watches we currently see us in. 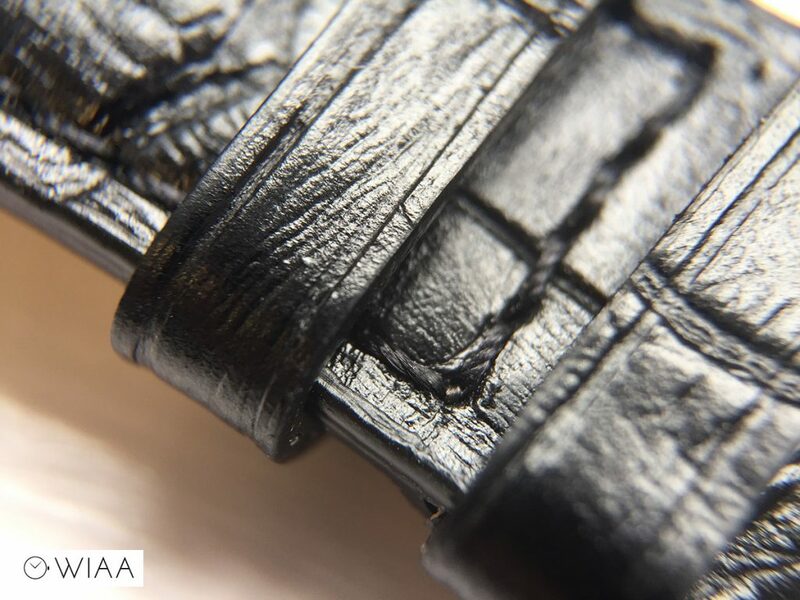 The Schist texture is a real eye catcher, and looks even more impressive under a macro lens. If you do decide to take the plunge, feel good in knowing that you’re going to get a great package delivered to your door.